I feel like a blank slate these days. A bit empty and very tired of the compulsive behaviors which have imprisoned my joy. Brutally honest with my tales; choosing to put them behind me without prejudice. Crying and yelling when I need to. Being sincere and being authentic; instead of playing the roles I have memorized. Laughing even if I am the only one in the room. Challenging my body, mind, spirit and limits. Creating a new way for myself that is kinder. 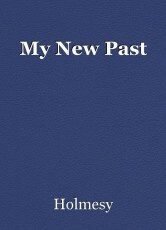 The place I am now will become the beginning of my new past. You say, "You don't have Time for This and That." Yes, its Borrow Time.